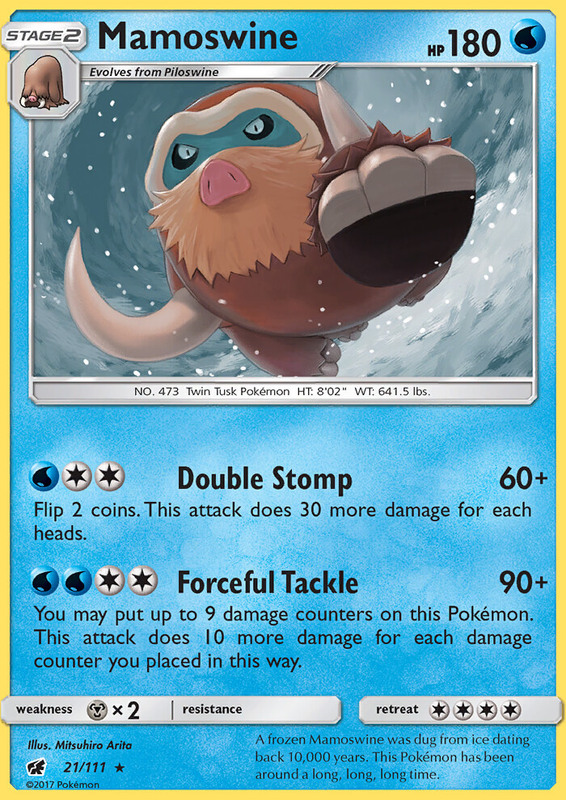 Any damage done to this Pokémon by attacks from your opponent’s [R] or [W] Pokémon is reduced by 30 (after applying Weakness and Resistance). Flip a coin until you get tails. This attack does 90 damage times the number of heads. 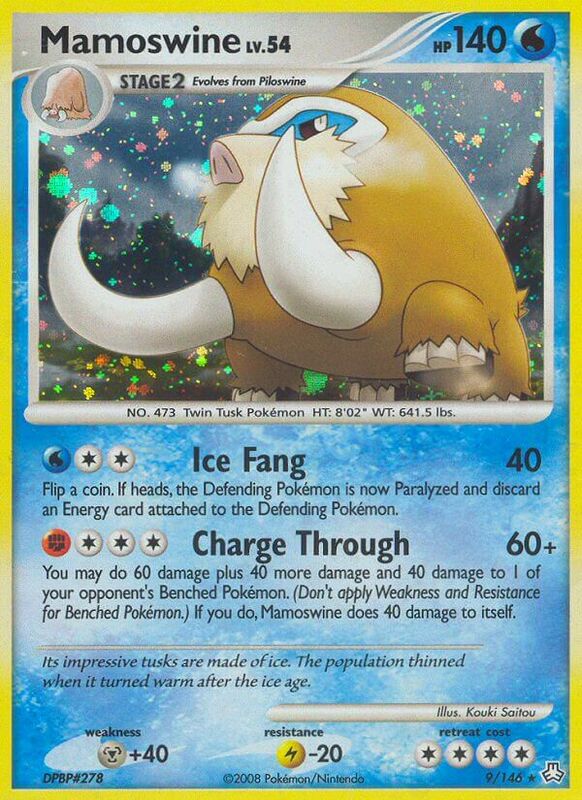 You may do 60 damage plus 40 more damage and 40 damage to 1 of your opponent’s Benched Pokémon. (Don’t apply Weakness and Resistance for Benched Pokémon.) 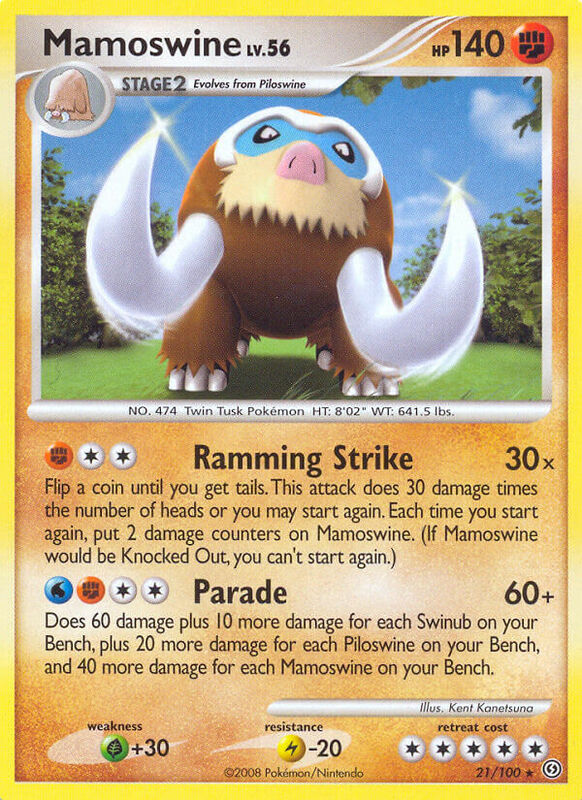 If you do, Mamoswine does 40 damage to itself.